Before I moved to my new house there was a big worry about internets. The people in the house previously were using Xplornet Satellite service. This was not acceptable, the low caps and large amount of latency with satellite service just was not enough internet to replace traditional television in our house. At first, the answers from 3 Xplornet resellers is that there was a tower being installed sometime in the future and they would not install it. Luckily we called 4 resellers and the last one would come and install it. The previous tenants in the house called in and Xplornet has a deal if your on their satellite service they move you to the LTE for free. Makes sense as satellite bandwidth is a premium. I was able to test the platform before I moved in. The speed and latency wasn’t very good. 1mbit download and 0.3mbit upload was all I could get. This is better then the 0 internets promised. I tried my luck to get Teksavvy service. They have a 5GHz service in Grand Pointe but the service was full they put a stop sell in that area to keep the existing customers going quickly. They will be expanding it to sectors but have no ETA. 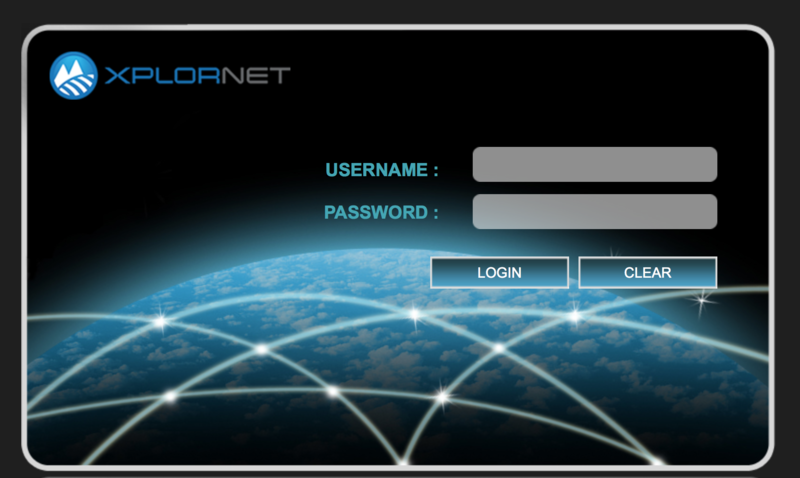 This left me with Xplornet. We signed up for January 25’th and had an installer booked for that day. They came in and replaced the old radio with a new one. The signal was -104 and was pointed somewhere north. We moved in Feb 1’st and the internet worked as it did before. Luckily they had opened a new tower in Pain Court which is much closer and most likely has less people on it. We could have called in the provider and sent them out on our install warranty. I decided to do it myself. I managed to find the operator credentials for the radio to login. This allows me to see the signal levels and have a little control over the radio. This is perfect as I could now adjust the radio to the new tower. Just pointing the radio over it picked up the stronger tower and I did a speedtest and now get my full rated 10/1mbit even during peak hours. Just when you thought carrier NAT couldn’t get any worse. You get a 10.x IP DHCP from the Xplornet Tower. Your CPE device then NAT’s that into a 192.168.201.x/24. Then your own router NAT’s yet again to 192.168.0.x/24. Xplornet is on the 2.5GHz licensed wifi band, this means it follows the same rules as wifi just is allowed way more power. This lets a poor install work when it could work better. I left my radio at its current height for the time being but my goal is to install it up higher. I am going to use a Chimney Mount with a pole on it to increase the height. On my house its almost 15′ higher. 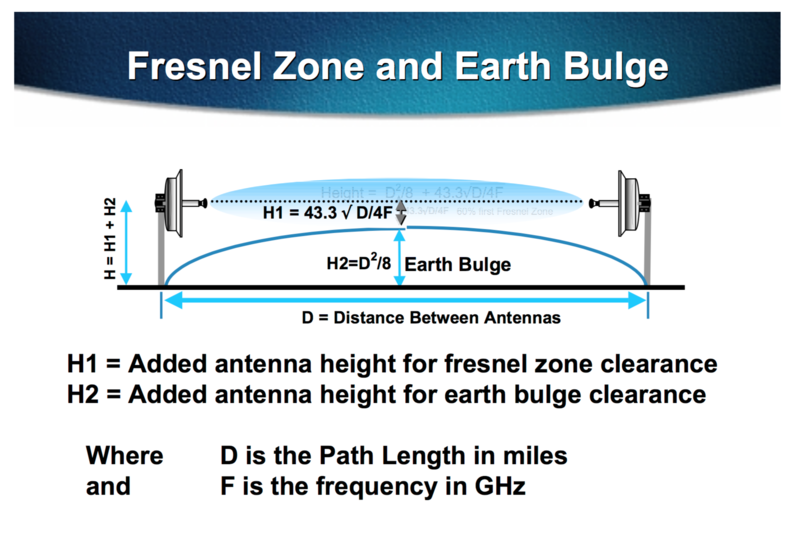 According to Cisco it appears I need quite the height to avoid the fresnel zone. Although without a tower I am unable to hit the perfect zone its much better then the 10′ it is off the ground right now. Once I go ahead and raise the radio up a little bit I will be able to see a difference in the numbers. Just +3dB is “doubling” the signal. It is winter now, when the tree’s grow in I might need these extra Db’s to keep my speed quick. To remove another layer of NAT I figured I could bridge the device, put it on a subnet my router knows about (to remotely access it) and directly DHCP off my pfsense router. This did not work. I didn’t try cloning my mac address or hostname but from my quick test it did not work. 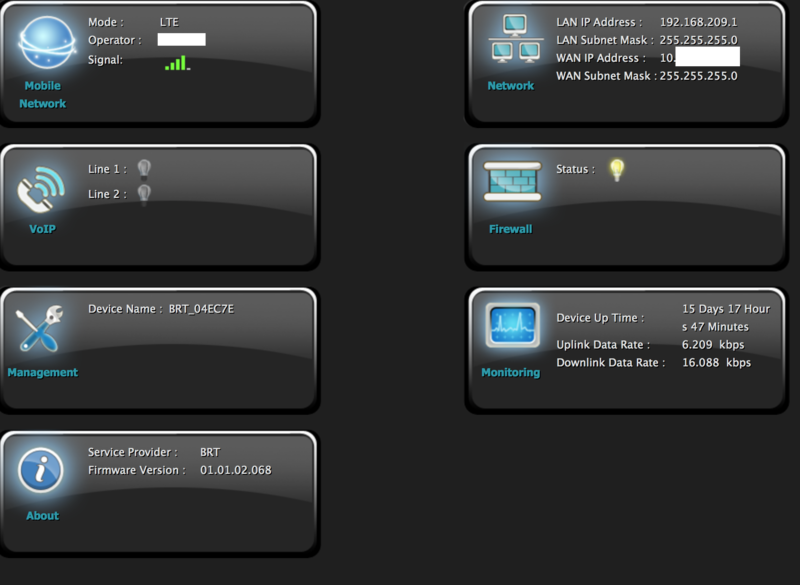 Since Xplornet LTE is carrier NAT with no option for static IP’s this doesn’t really matter much. This is informational post, I’m not responsible for what happens past here. That will bring you into your statistics page. The main numbers we look for on here are RSRP0 and RSRP1, these are both bands connections to the towers. I found it barely works around -104 but just bringing it around -100 is the magic. I went from 1mbit /w packet loss to 10mbit with very little. The Technology tab will let you turn on and off the LTE radio. That is what you use to get it to find a new tower. It will always grab the strongest tower so point it around and see what it finds. This is just a little insight I found when setting up and signing up to the service. So far it has been excellent and I have no complaints. I was able to get my rated speed, and the service works as it should. My next guide will show you how to tunnel IPv6 through a private VPS to bring v6 to your local LAN. This allows you to punch a hole into the NAT and connect directly in.